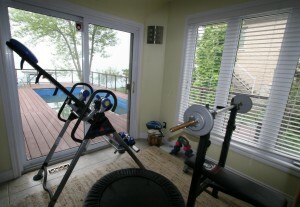 Serenity Bed and Breakfast offers very special Natural Health Wellness Services that provides a wide array of Therapeutic Treatments, as well as access to an Infrared Sauna, Mineral Hot Tub, Swiming Pool, Micro Gym, Meditation Dome, Yoga and of course our Lake Ontario shoreline all available to both for visitors and our guests. With soothing music playing in the background in a peaceful room designed to provide on site spa facilities at the Serenity Natural Wellness Center, natural health therapists from Serenity, will take you into a special experience that will leave you feeling relaxed, rejuvenated and in a state of well being and peace. The art of using essential oils to promote the health and well-being of the body and the mind. An aromatherapy massage stimulates the skin and enhances the absorption of the oils, while helping the individual to relax inducing a deep feeling of tranquility. Reiki is a hands-on healing art. The practitioner acts as a channel for universal life energy, allowing it to flow and relieve energy blockages in the body, whether of spiritual, emotional or physical cause. 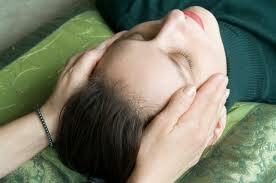 Reiki can help to relieve a range of ailments from arthritis to stress. It leaves one feeling energized and balanced and is excellent support for any health conditions. 1 hour $ 65., 1½ hours $80., 2 hours $ 100. A natural healing art that brings benefit physically, mentally, emotionally and spiritually. It involves applying pressure on "reflexes" or specific areas of the hands and feet which correspond to every part, gland and organ of the body. Physically reflexology helps to promote a relaxed and healthy body by stimulating the body's own healing potential. Mentally it generates a calm state of mind and a more positive outlook on life. Spiritually it brings about a general state of well-being. Deep Tissue massage that can release tension, physical toxins, and emotional anxieties. Our massage techniques provide a pathway to revitalizing the bodies natural functions and enhancing or inherent spiritual energy and mental clarity. It provides a peaceful foundation from which to create your life. Through all the tissues in the body there is a subtle tide called the craniosacral rhythm. By tuning into this rhythm, the therapist can determine where restrictions are affecting the body's health and well-being and facilitate the release of these restrictions deep within the body. This gentle, non-invasive therapy can positively influence conditions affecting part or all of the system, helping to create and maintain balance at all levels. 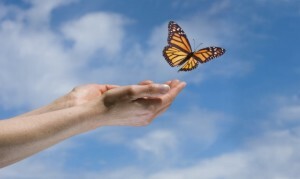 Life coaching is a practice that helps people identify and achieve personal goals. Life coaches assist clients by using a variety of tools and techniques. Our life coach draws inspiration from disciplines such as sociology, psychology, positive adult development and counseling, nutrician, physiology, life balancing and other areas relevant to providing guidance. The process is personal and expoloritory and often starts with identifying where you are with your life and where you want to be helping you to set your personal priorities and develope techniques and stratagies for your personal success. We can set you up on a personal fitness program that is designed to optimize your physical, emotional and mental abilities. A program custom fit to your needs that can increase you ability to manage your body's cleansing and rebuilding processes while enhancing both your healing and training programs. We help you learn how to attain your genetic potential by training your body to support the optimal function and performance of your entire system. We can introduce you up on a personal relaxation program that is designed to optimize your spiritual and emotional well being. This is both a deep relaxation and an advanced stress management program. Using a personal combination of meditation and breathing techniques as well as yoga, massage and end of day procedures that make use of our infrared sauna for detoxing or our hot tub for relaxation we shift your entire energy field into a state of calm and deep relaxation. A program custom fit you your needs that can help you not only learn to relax fully and sleep better but can increase you ability to manage stress and transform challenges into opportunities into positive action. In a coaching session we help you learn how to be centered, present and grounded when you need it most, by training your mind to work in support of all that you want to create in your life. Available as both a crash course in two days or a full course over five days. At Serenity our team of wellness practioners take total wellness very seriously. So ask about our Yoga, Meditaion, Tia Chi, Naturapathy, and Oriental Therapies as well. 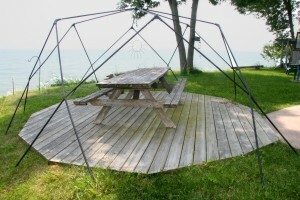 Your Hosts are very grateful to have the opportunity to share with you Brighton Ontario's oasis from day to day life and invite you to experience how our wellness centre can help you revitalize your mind body and spirit.